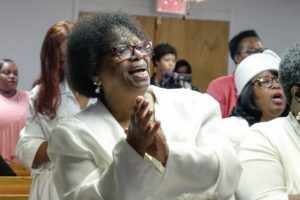 Authorities say suspicious fires at three historically African-American churches in a single Louisiana parish appear to be connected but are hesitant to say whether race is thought to be a motivating factor. By 2060 six of the countries with the top ten largest Christian populations will be in Africa, up from three in 2015, according to a new Pew Research Center report. After an unflinching look at its racist past, SBC’s flagship seminary aims to honor a more diverse population on campus. The U.S. Supreme Court halted the execution of Patrick Murphy last week because he wasn’t given access to a Buddhist chaplain. Now, no chaplains will be allowed in the death chamber. In his new book, The Color of Compromise, Jemar Tisby surveys the racial history of the United States with an eye toward the innumerable moments when white American Christians could have interceded on behalf of racial justice, but did not.